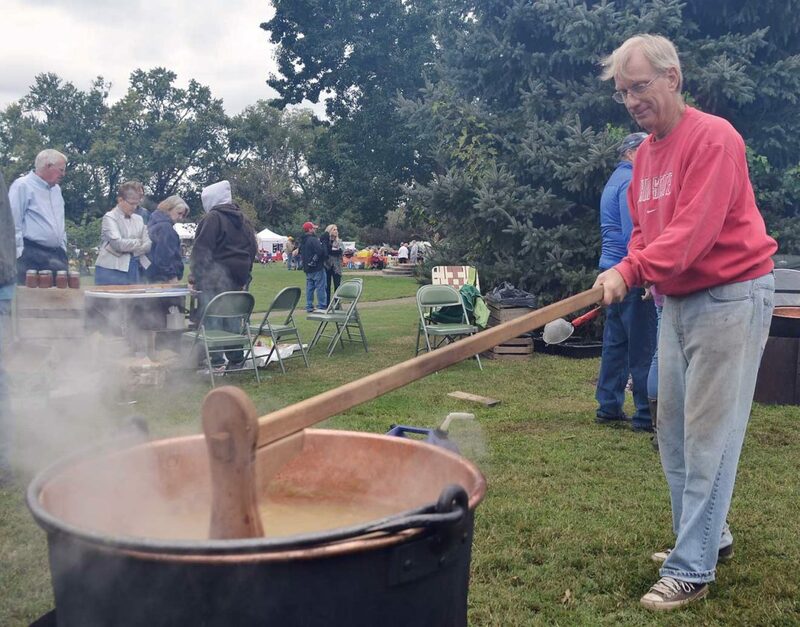 Photo by Brett Dunlap Tom Webster, with Pioneer Presbyterian Church of Belpre, stirs a caldron of apple butter Saturday during the 40th annual Apple Butter Stir-Off being held throughout the weekend at Civitan Park in Belpre. Photo by Brett Dunlap Belpre Lions Club President Deborah Marshall, stands with her dog Toby, during the 40th annual Apple Butter Stir-Off being held throughout the weekend at Civitan Park in Belpre. 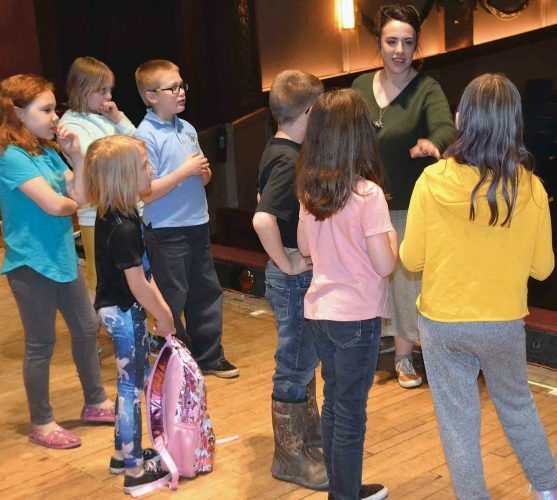 The festival is the biggest fundraiser for the club with money going towards hearing aids, diabetes assistance, pediatric cancer research and scholarships for students at Belpre High School. 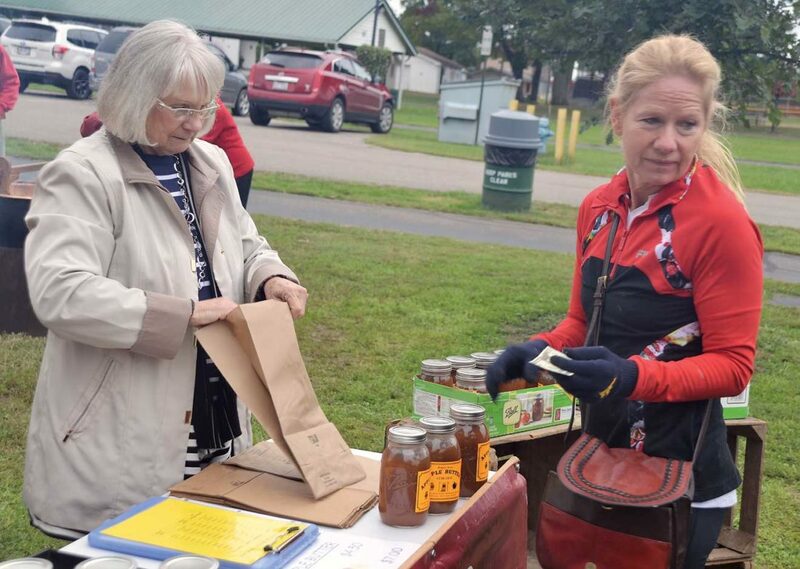 Photo by Brett Dunlap Robin Radcliff, right, of south Parkersburg, bought more than three quarts of apple butter Saturday from Bonnie Van Dyke, of Pioneer Presbyterian Church of Belpre, during the 40th annual Apple Butter Stir-Off being held at Civitan Park in Belpre. Photo by Brett Dunlap Vicki Boggs is shown with her dog Angel on Saturday during the Canine Costume Contest Saturday held during the 40th annual Apple Butter Stir-Off at Civitan Park in Belpre. 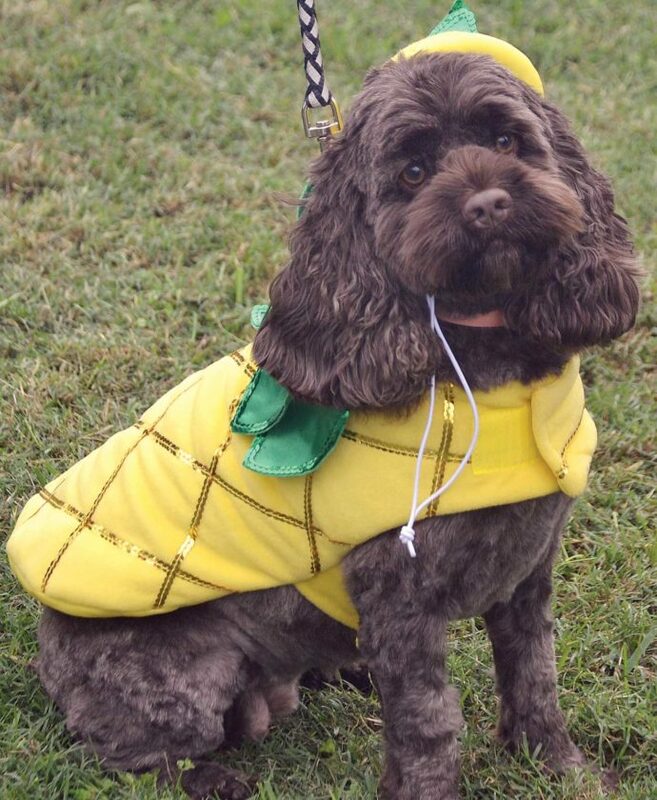 Photo by Brett Dunlap Cora, a Cockapoo, was dressed as a pineapple for the Canine Costume Contest on Saturday held during the 40th Annual Apple Butter Stir-Off at Civitan Park in Belpre. 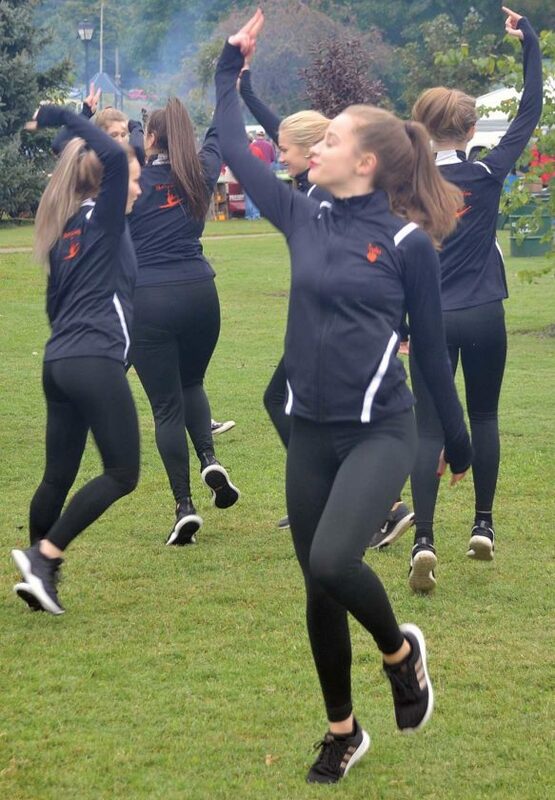 Photo by Brett Dunlap The Marietta High School Marquettes performed Saturday during the 40th annual Apple Butter Stir-Off at Civitan Park in Belpre. Photo by Brett Dunlap Shawn Price, with his dog Toby and Keating, a therapy dog with Miller Prosthetics of Belpre, and Rory Reynolds pose for pictures during the Canine Costume Contest on Saturday held during the 40th Annual Apple Butter Stir-Off at Civitan Park in Belpre. BELPRE — Many people came to Belpre over the weekend to get an understanding of how apple butter is made and to get some as fall begins to settle in for the season. The 40th annual Apple Butter Stir-Off is being held throughout the weekend at Civitan Park in Belpre. The event continues today from 11 a.m.-6 p.m. The festival, which is put on by the Belpre Lions Club, featured a number of vendors, food, inflatables, entertainment, contests and apple butter stirring. Money raised from the event will support programs the Lions Club has going on in the community, including its eye exam and glasses programs for people who need assistance. Money also goes towards hearing aids, diabetes assistance, pediatric cancer research and scholarships for students at Belpre High School. 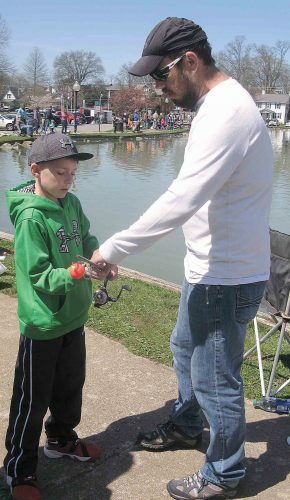 The club had a young girl, Alexis Wilcox, who raised $708 in donations for pediatric cancer research, Marshall said. With temperatures in the mid-40s on Saturday, many people said the season was feeling a lot like fall. Once again, Pioneer Presbyterian Church of Belpre had two large vats of apple butter cooking throughout the weekend at the festival. “It is a lot better when it is a little cooler,” said Tom Webster of the church who was stirring apple butter throughout the day Saturday. “It cooks better and it will be thicker at the end of the day,” he added. The church will end up making between 220-240 gallons of apple butter. “We sold out last year and we are hoping we sell out this year,” he said. Church members cut apples, boil them and put them through a processor to make apple sauce. They put the apple sauce in their kettles, over a fire and boil it down to apple butter, Webster said. The apple butter on sale was made within the last couple of weeks. 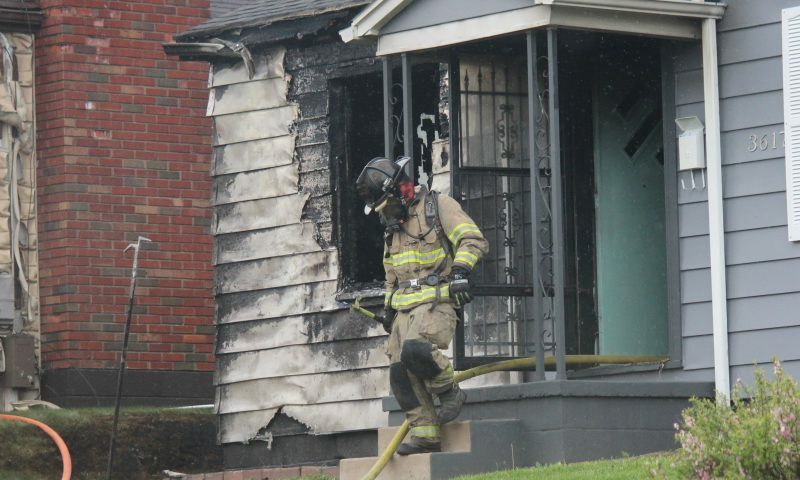 The church members started cooking around 8 a.m. Saturday and expected to be canning it by 3:30 p.m.-4 p.m.
“We never really know until we see what it does,” Webster said. Webster hoped that people, especially kids, see an old American tradition still being practiced. In years gone by it was a way for people to use their apples. “This is one way for them to use their apple crop so they could can it and use it all year around,” Webster said. Robin Radcliff, of south Parkersburg, bought over three quarts of apple butter. She liked the fact it was freshly made with just a few ingredients in it. “It is really good stuff, This should get me through December. It is just so good. I drove across the river for apple butter,” Radcliff said. 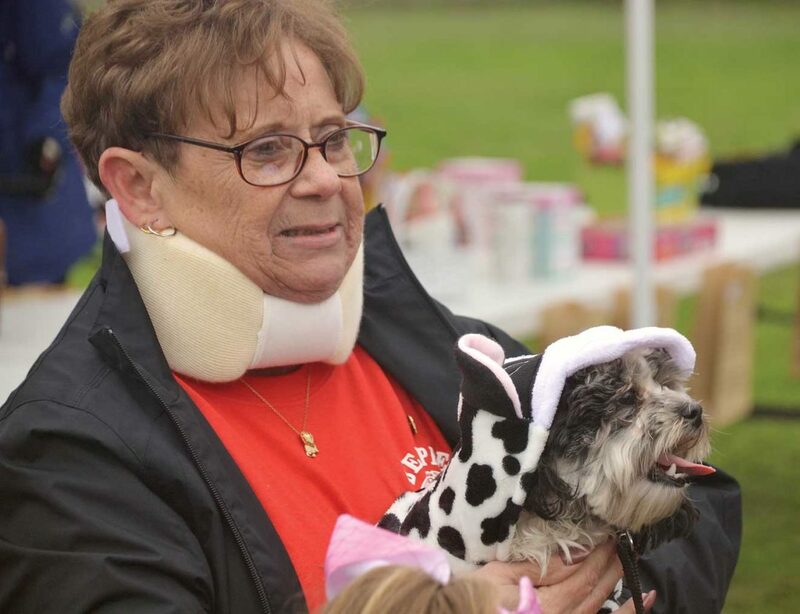 The General Federation of Women’s Clubs Belpre Woman’s Club partnered with Brett Lyons of Crazy Bone Pet Spa for the fourth year to sponsor the Canine Costume Contest on Saturday during the festival. Proceeds from the costume contest will be donated to Canine Companions for Independence Veterans Initiative, an organization that provides free assistance dogs for veterans with disabilities. 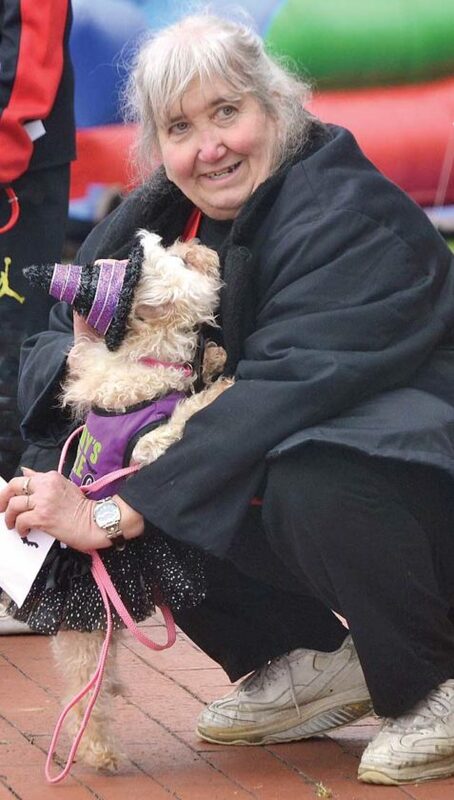 Vicki Boggs, of Belpre, brought out her little dog, Angel, a Toy Poodle who dressed like a Halloween witch. “I just wanted to do it because she was so cute,” Boggs said. “She has never done anything like that. She is a rescue dog. Boggs was out Saturday because she is in the Belpre Lions Club. “We are out to support the community,” she said. Ceiana Bennett, of Vienna, brought her dog Bruno, a Newfoundland. He wore a little cardboard house with balloons tied to it, inspired by the movie “Up.” She found a costume design on Pinterest that she was able to do. “We’ve never done it before and we thought it would be a good idea to try it,” Bennett said. Shawn Price works at Boxer’s Bed and Biscuits in Belpre and they had a big poster for the event and he thought it would be fun to come to. 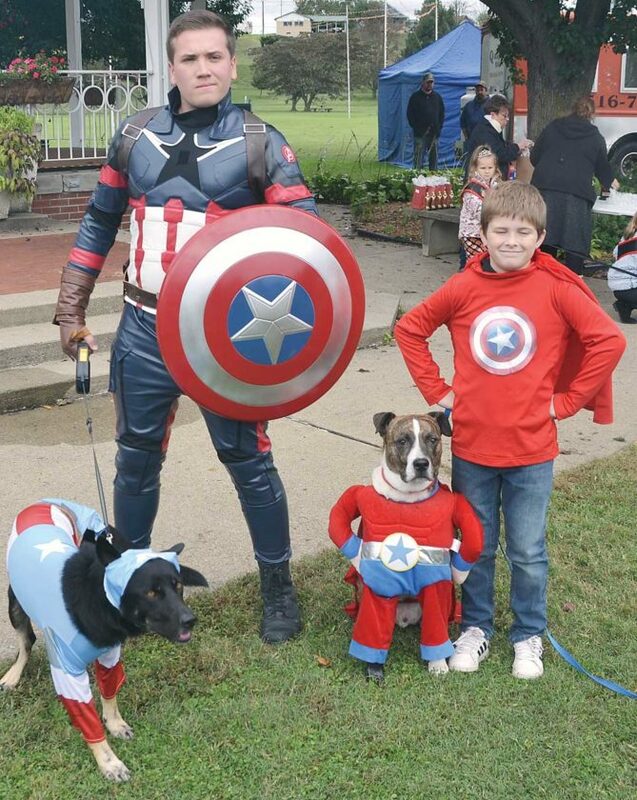 He and his German Shepherd, Toby, both dressed up as Captain America. Price is a long-time fan of Captain America and made his costume which resembles he ones from the recent Captain America movies. Toby’s was more inspired from the classic comic book look. “I absolutely adore Captain America,” Price said. “I figured if Captain America had a dog, he would have a German Shepherd as many police dogs and military dogs are. Price and Toby were the Grand Prize winner in the large dog category, scoring points for the patriotic theme, the dog/owner combo and being the most creative. 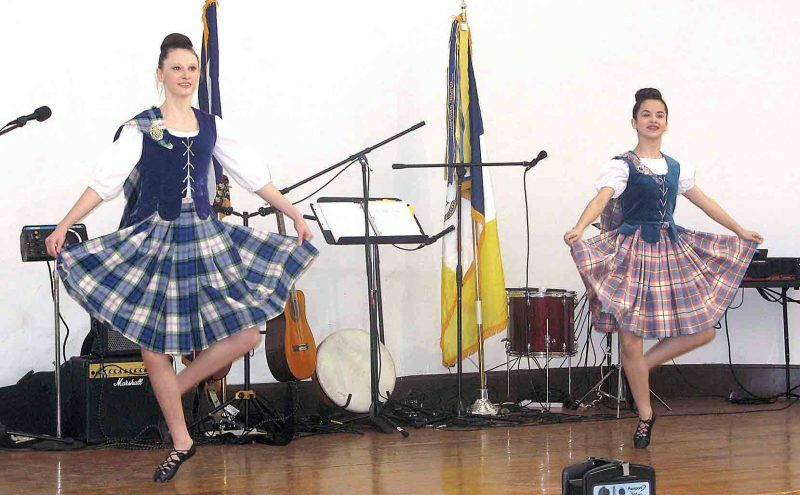 Marshall said the Apple Butter Stir-off is the club’s biggest fundraiser of the year. They are hoping to raise $2,000-$3,000 or more from this festival. “We have had a pretty good crowd despite the weather,” she said. The festival has continued to grow. For a number of years it was held at Howes Grove Park before moving down to Civitan Park last year. There is more parking available and more space to put on events and activities at Civitan Park. “We have grown and we can compete with the other festivals in the area,” Marshall said.